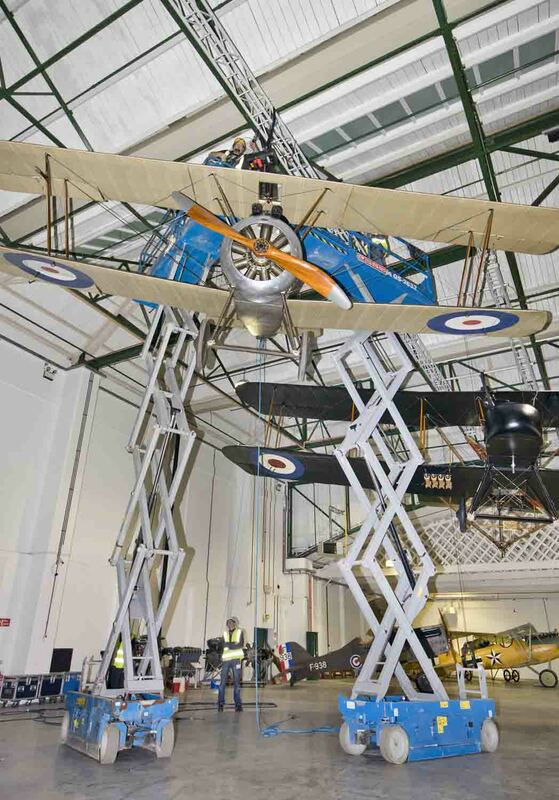 The RAF Museum has just raised their Sopwith Camel F.1 serial F6134 into the rafters of the Grahame White Factory building at RAF Museum Hendon. 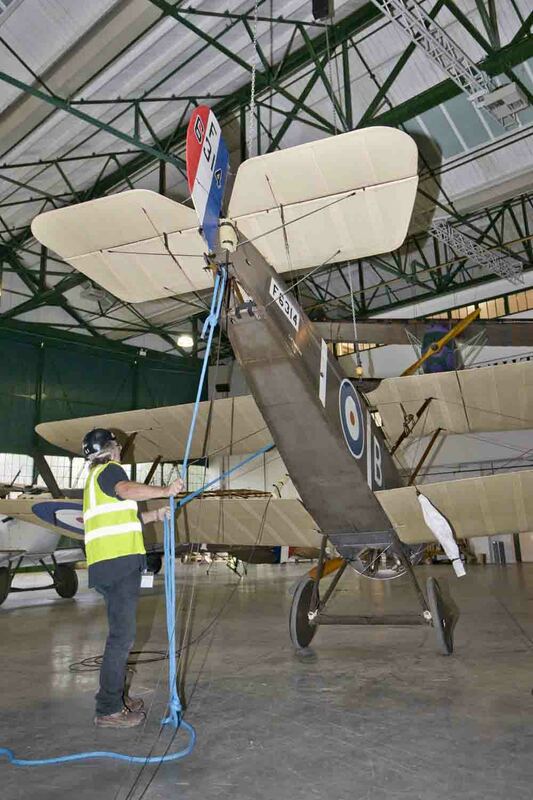 The Camel will be a key feature in the RAF Muesum’s First World War in The Air Exhibition, a celebratory display commemorating the Royal Air Force’s exploits in WWI. Please click HERE to see more details about the exhibit. This Camel is just one of a handful of original examples remaining. It has a slightly cloudy history, as there were actually two Camels with the serial F6134; both built under subcontract by Boulton Paul Ltd. in Norwich, England. The first of these originated as serial B9235, being taken on charge with 80 Squadron of the Royal Flying Corps in February, 1918. It received the new designation as F6134 in error after heavy maintenance by Repair Parks in France during August, 1918. The other possible Camel identity was an aircraft actually built in the factory as F6134, and not taken on strength with the by-now independent Royal Air Force in July or October, 1918. According to inspection stamps found upon the original woodwork during restoration in 1960, it seems like this airframe was the latter of the two possibilities. 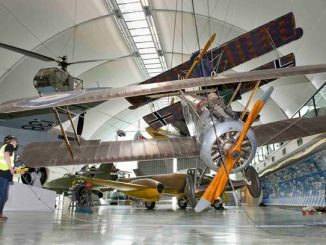 For a thoroughly documented account of the airframe’s history following WWI, please see the RAF Museum’s remarkable history card HERE. 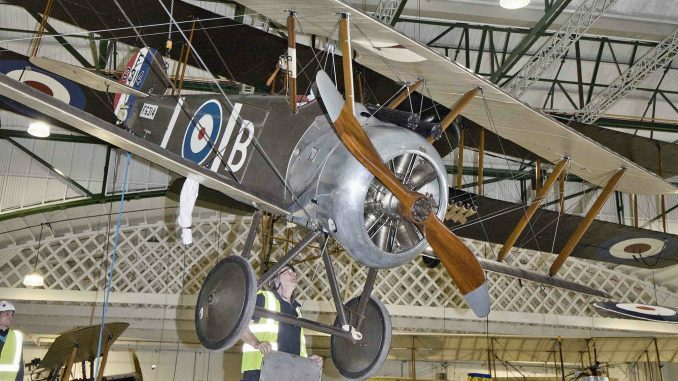 RAF Museum Cosford will also have an exhibit concerning WWI, and will display an accurate, full-scale reproduction of a Bristol M1C Monoplane, Sopwith 1 1/2 Strutter, and an original Sopwith Pup, serial N5182. The two displays were funded in part by a generous contribution from the Heritage Lottery Fund. 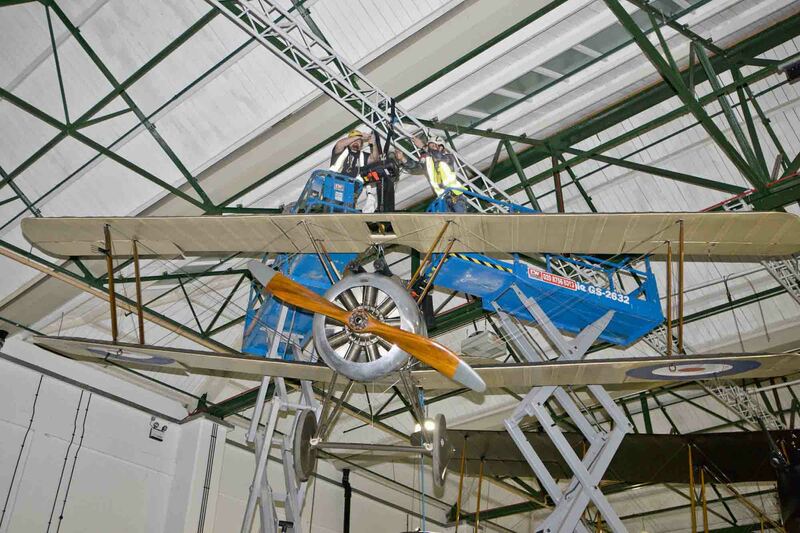 The Sopwith Camel high in its perch within the Grahame White Factory. 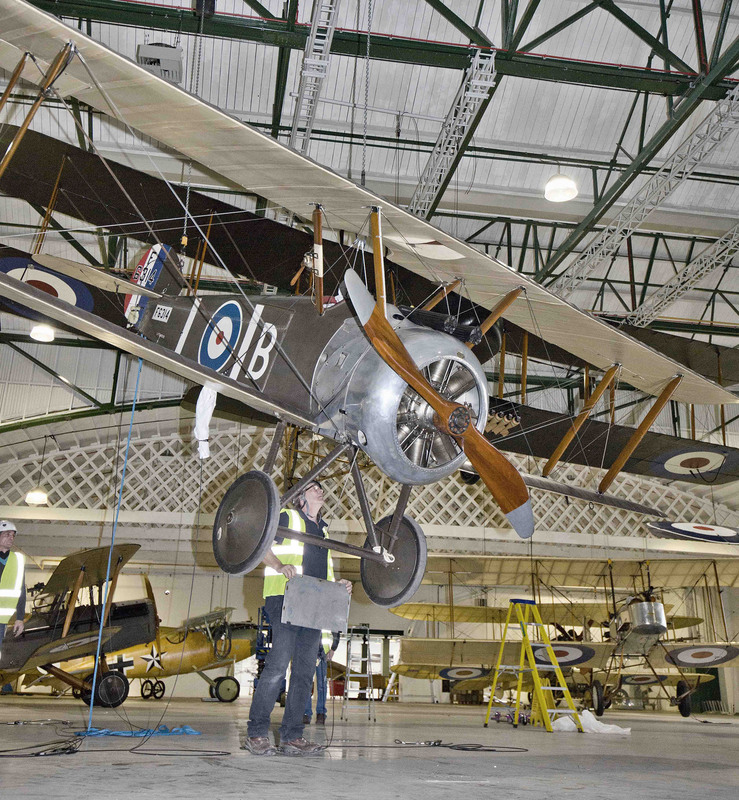 WarbirdsNews wishes to thank the RAF Museum for generously supplying the photographs used in this article.